Self-service, remote installation of Windows, CentOS, ESXi and Ubuntu on real servers turns your data center into a bare-metal cloud. Automatic discovery of every network device. BMC ops with IPMI, AMT and other protocols. PXE over IPv4 and IPv6 networks. APIs for DNS, DHCP, IPAM, server configuration and provisioning. Zero-touch deployment of Ubuntu, CentOS, Windows and RHEL. Full deployment time is approximately two boot cycles plus two minutes for disk imaging. Discover every PCI and USB device in every server. Inventory disk models and serial numbers. Provision machines based on specific configuration details to optimize your applications. Create advanced filesystem layouts with RAID, bcache, LVM, ZFS and more. Automate storage configuration through APIs. Allocate servers based on storage. Configure server network interfaces with bridges, VLANs, bonds and addresses. Integrated, best of breed, highly available, open source DHCP and DNS. Run tests to get up to date information about hardware health. Benchmark disk, RAM, CPU and network performance. Integration with Chef, Puppet, SALT, Ansible, Conjure-up, and Juju. REST API, CLI and Python bindings enable full lifecycle and project automation. Continuously observes network traffic and catalogs every active IP address of unknown origin. Discovers rogue devices, IPs and MAC addresses. Drives active scanning of network ranges. Integrate with LDAP, Active Directory or SAML for central identity management and single-sign-on across multiple MAAS regions. Drive Cisco UCS, Intel RSD, HP Moonshot, and more. Supports dynamic hardware composition with Intel RSD. Reuse standard cloud operations with cloud-init and metadata services. Hybrid multi-cloud operations now include bare metal, with no change in applications. Designate servers to host KVM virtual machines to be dynamically provisioned alongside physical servers. You run the data center, but your customers decide what they want to do with the hardware. They love the cloud experience, but it’s more efficient for you to own the hardware. MAAS provides super-fast self-service provisioning of Windows, Ubuntu, CentOS and ESXi. MAAS implements all the standard features of a public cloud — like instance metadata and cloud-init. Your customers get complete control of the deployed machine. Canonical created cloud-init and leads the project globally; we ensure that MAAS provides a first-class cloud experience for physical servers based on x86, ARM64, POWER and Z architectures. MAAS detects and inventories all the disks, in every server. You’ll have a single database of every model and serial number. MAAS tests disks either non-destructively or destructively, with short or long write cycles, and learns about their performance. Auto-tagging of SSD and rotary disk types makes it easy to know which disks to use for each application. 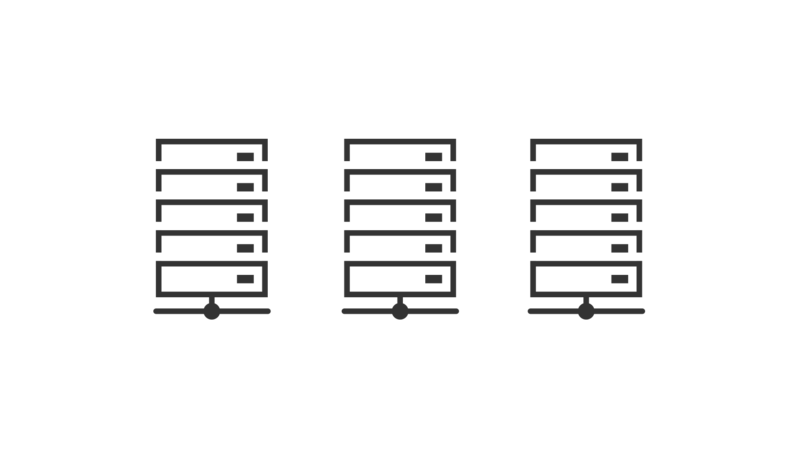 Your users configure the storage of any server they control: RAID, LVM, Bcache and ZFS. Configure boot, applications and backup disks exactly where you want them — and get the installed machine, a few minutes later. The most error-prone part of data center operations is the network. MAAS enables rapid convergence on a correct network configuration — for every server, in every rack. All NICs are detected and inventoried when a machine is enlisted in MAAS. Discover the topology of the network — which NIC is plugged into which port on which switch. MAAS tests access to specific VLANs from each NIC. Network bonds and VLANs can be configured too. Set all significant network operating properties through MAAS — and then validate that configuration with ephemeral machine booting and testing. MAAS rack controllers provide local endpoints for all infrastructure services in the rack itself, and they also monitor the local network for rogue devices, IP addresses and MAC addresses. Over time, you’ll know if there are ‘extra’ devices plugged into any fabric or VLAN that MAAS is asked to monitor. Solve network mysteries faster with distributed network analysis and observation. MAAS integrates best-of-breed ISC DHCP and Bind9 DNS, and will operate these in high availability mode whenever redundant MAAS services are provided. Deploy the MAAS API services on two systems and you will have high availability API endpoints; deploy two rack controllers and all rack services are automatically redundant. MAAS uses the PostgresSQL database which supports redundant and highly available scenarios. Take devops to bare-metal for apps like big data, kubernetes, analytics, machine learning, private cloud, OpenStack, PAAS and HPC. The specialists love MAAS. MAAS is an open source SDDC solution used by telcos, financial institutions, media companies and supercomputer admins to take care of all the low-level details. PXE, IPMI, ILO and all the custom protocols needed for diverse vendor hardware support come together in one clean REST API with Python bindings for easy integration and automation. It includes a full IPAM capabilities, providing a central database and REST API for all network addressing and naming information. MAAS offers the ability to create lean, on-demand KVM-based micro-clouds on any of the leading architectures . This capability extends to a fine-grained control over KVM storage and networking configuration, thereby accelerating deployment of applications in any environment constrained by physical footprint or requiring dedicated VM-based workloads. Quickly provision and tear down both physical and virtual servers with a modern operating system deployment toolchain. Perfect for high-performance computing (HPC). MAAS transforms DevOps with complex server workflows, including dynamic partitioning, application-driven resource scaling, automatic workload rebalancing and immutable infrastructure. MAAS helps you build unified hybrid cloud operations by exposing a bare-metal provisioning operations API that can be used with service modelling tools, like Juju, or configuration management tools, like Chef. MAAS helps you run different workloads at different times, using the same or different base operatings systems, at both large and small scales. Decommission nodes during non-peak periods to save both energy and personnel requirements. Use the time to focus on day-to-day hardware management tasks, optimising usage patterns and internal processes. Replace legacy in-house provisioning tools and their associated problems, such as development resources, debugging, QA, on-boarding and 'bus-factor', with a standard set of converged open source tools, at speed to any scale. MAAS's API allows storage and networking to be rapidly reconfigured to match each test case, generating a clean bare-metal environment for every run. Run sets of standard and customised tests on freshly provisioned machines and racks, transforming any new hardware provision and integration process. MAAS delivers the fastest OS installation times in the industry thanks to its optimised image-based installer. MAAS is freely available, open source software from Canonical. For large volume and public clouds with dynamic scale, we offer per-region pricing with flexible node ranges.